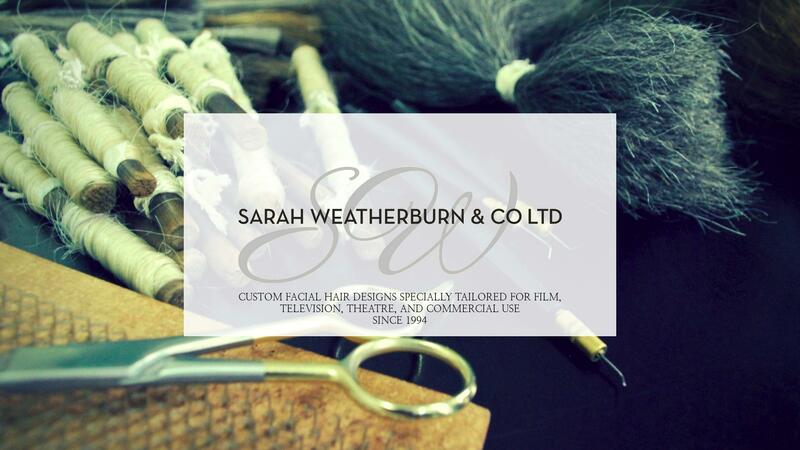 - Sarah Weatherburn & Co.
Sarah Weatherburn & Co. are the leading facial hairpiece specialists for the film and television industries. Our credits over the last twenty–five years cover a range of iconic beards and award winning projects — from Gandalf to Dumbledore to Poirot and Game Of Thrones. Whether you need an outrageous fantasy creation, an exact duplication of an actor’s own facial hair for re–shoots, or a full range of moustaches, sideburns and muttonchops to place your production exactly in period — we have the knowledge, experience and skill to provide that. From our North London studio, our pieces travel around the world, for film and TV but also for theatre, advertising, music videos, exhibits and anywhere else extraordinary knotted (ventilated) pieces are required. And it’s not always facial hair — body hair, animals, monsters and puppets — we enjoy a creative challenge! Price lists and quotes available upon request.